Like I told you in Monday’s outfit post, me and my boyfriend celebrated our birthdays with friends and family, last Saturday. And today’s I’m showing you what I was wearing! Minus the coat and the cardigan that is, because having so many people in your apartment makes it pretty warm! But somehow, taking outfit photos without a cardigan in this cold, didn’t feel like something I felt I should do, haha! Anyway, I love this dress! It has such a gorgeous fit, it feels comfortable, and it has my beloved midi-length! Also, it doesn’t need much to make it an interesting outfit. I just added the tights, black shoes, and my white statement earrings, and my b-day outfit was already done! For outside, I thought the white cardigan looked nice with it, and obviously my long blue coat, which turned out to be a perfect match! What do you think of this outfit? 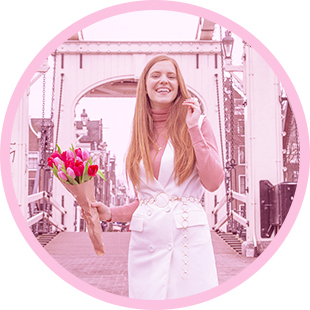 Super leuke outfit had je aan en vind die jas prachtig!